As bitcoin continues to endure the woes of a roller-coaster 2018, investors around the world might continue to chant “HODL” around a campfire — longing for the days of quick, successive price gains and soaring values. The opening six months of 2018 have separated the wheat from the chaff, with committed investors standing firm in their conviction that bitcoin can soar to new heights in the days and months to come, while others less interested might have stopped their percussive CoinMarketCap checks altogether. Bitcoin began trading at US$12 899.20 on 1 January this year — fresh off of a $19 000 high. At the time of writing, the preeminent cryptocurrency has yet to reclaim its past glory. Although there’s little indication as to when bitcoin’s present bear run might run to a close, it is useful to reflect on the cryptocurrency’s previous price chronological drops — three of which set investors into a panic, and set the stage for a strong return to form later on. In 2012, the cryptocurrency scene was a vastly different landscape, one where bitcoin and the term “cryptocurrency” in itself were largely interchangeable. Bitcoin’s most significant price drop throughout this period took place in August 2012. 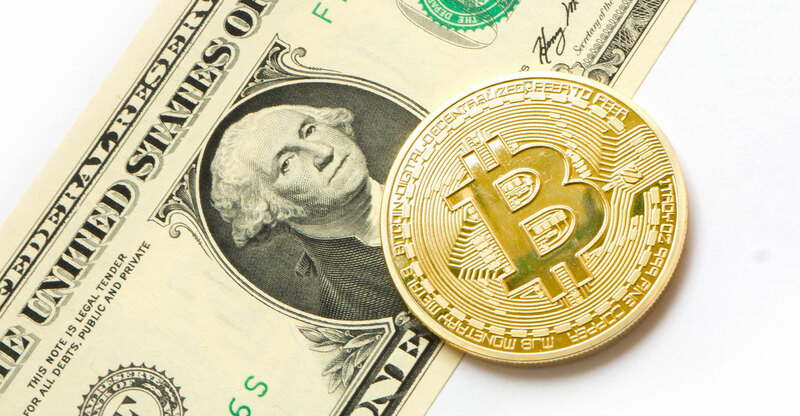 Over the course of three days, from 17 to 19 August, bitcoin retracted from trading above the $16 mark and fell to $7.10. While the loss might seem trite now, bitcoin’s value fell by some $9.31 in three days — amounting to a 57% decline. The reversal was ultimately triggered by early bitcoin user Priateat40’s decision to cease accepting bitcoin payments. Over the course of three days from 10 to 12 April 2013, bitcoin’s price suddenly and violently retreated from a premium of $259 to $45 — making for an 83% collapse. Historically, the meltdown has retroactively been attributed bitcoin’s first appearance in the limelight — a sudden interest from worldwide media had propelled bitcoin above the $200 mark before the cryptocurrency collapsed in a violent correction. Bitcoin’s first protracted bear market took just over a year to pass. Over 411 days, between the 30 November 2013 and 14 January 2015, the price plummeted from the handsome $1 163 to $152 US — an -87% decline. Obsensibly, bitcoin’s early bear market occurred in the wake of Mt Gox’s collapse. Mt Gox, the largest and preeminent bitcoin exchange at the time, crumbled thanks to a high-profile hacking attempt and regulatory pressure. Ultimately, the death of Mt Gox not only introduced a slew of new cryptocurrency custodial services and exchanges, but further saw the emergence of decentralised exchanges. Ultimately, bitcoin may continue to traverse bearish trends for the remainder of 2018. The presence of expiring futures contracts, market pessimism and global interest may or may not direct bitcoin’s immediate future. What remains clear in hindsight, however, is that each of bitcoin’s major drops have precipitated its next breakout — and it remains to be seen as to whether that trend will continue.